JC's Backyard BBQ is offering free food for kids on Tuesday's [sic]. 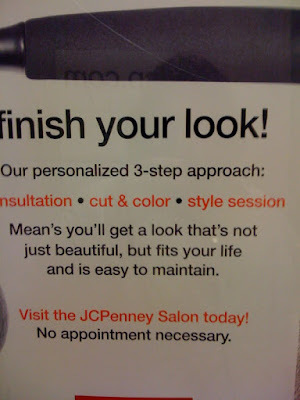 I'd like to offer them some free help with their horrible punctuation. Also, I don't think there's a need to hurry if this promotion doesn't start until December. Or maybe they mean we should hurry back in time three months. Thanks to Dave for sending this one in! News agent is such a commonly used expression in the UK that I don't understand how anyone could get it wrong. 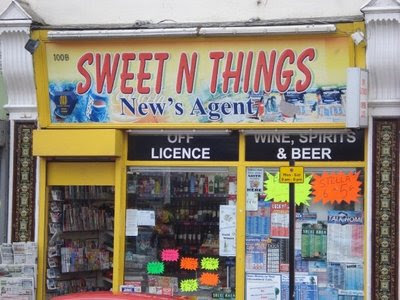 But somehow Sweet N Things in Brighton, England, managed to. Thanks to Mark for uploading this appalling example of apostrophe misuse to this blog's facebook group. Here's another submission from Smoochiefrog. 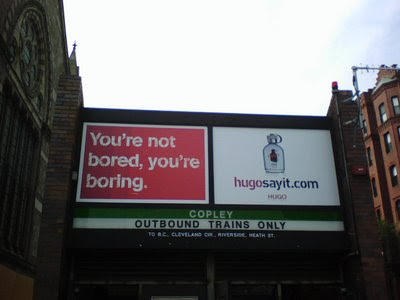 One of these signs must be right, right? 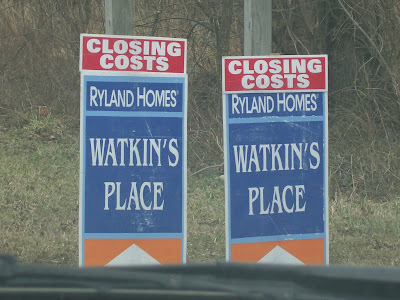 And what are they trying to say about the closing costs? Thanks, SF! Red Sox fans would be thrilled if Yaz's grandson made it to the majors, a.k.a. the Big Leagues. But lose that apostrophe in the headline, Boston Globe. Thanks to Kirsten for sending in this apostrophe catastrophe from my hometown paper. Check out her Minnesota Twins blog here. 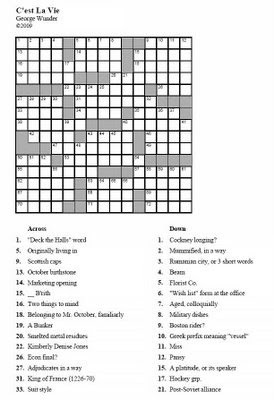 Here are the answers to the apostrophe crossword puzzle that I posted a couple of weeks ago. No cheating! Click on the image above to make it larger. How did everyone do? A lot of people seem to think it's necessary to add an apostrophe when pluralizing a word that ends in a vowel. These people include Amici's Restaurant. 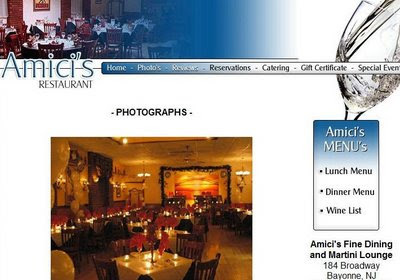 That should be menus and photos, Amici's folks. But I could use a martini or two from your lounge. Thanks to friend-of-a-friend Bethany for sending this one in! 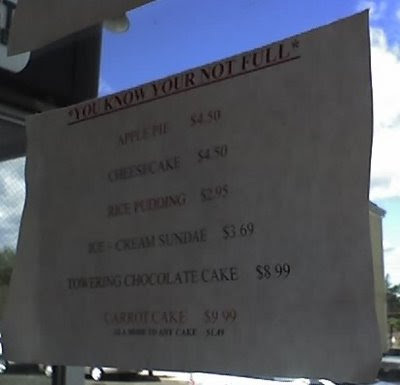 The sign features an apostrophe catastrophe and a misspelling! I'd be embarrassed if the person who wrote were my classmate. Maybe s/he cheated on the SATs. It reminds me of when I overheard a guy in my sophomore year dorm call sangria "a Spanish connotation," and I asked him, "Do you go here?" I was very disappointed when he said he did. She says she was so disgusted by the t-shirt that she was "tempted to complain to the manager." Check out Suzy's original blog posting on this topic here. Thanks, Suz! There should be a simple answer to the question of how to punctuate today's holiday. But the problem is that Presidents Day is not the official name of the holiday; it's Washington's Birthday. But most workplaces -- including my own -- give employees the day off in honor of more than one president. So, how should we punctuate presidents? Driving along the Auto Mile a couple of days ago, I saw it written on banners as President's Day, Presidents' Day, and Presidents Day. Option number two is what my calendar uses. But my calendar -- and this list of federal holidays -- calls November 11 Veterans Day (no apostrophe). If we were going for consistency, today should be Presidents Day. That's certainly what they'd do in Birmingham. But I'm going to have to declare Presidents' Day the winner. It just looks right. This is a rough weekend for a lot of people, especially punctuation sticklers. With Valentine's Day and Presidents' Day upon us, we're inundated with misplaced apostrophes. This sparkly gift I received is appropriate for both holidays because it represents the love I feel for our president. 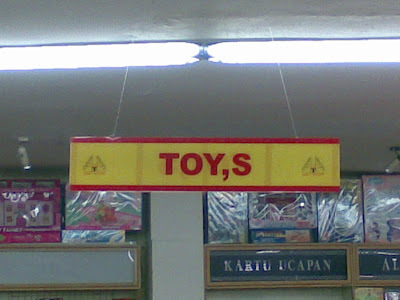 Sadly, it commits two apostrophe catastrophes. Stick Em' only works as a contraction if you're talking about a skinny dude named Emile. 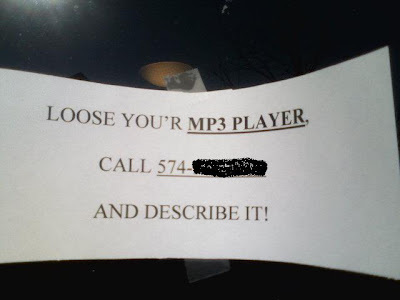 And, according to most style guides, MP3s shouldn't have an apostrophe in it either. 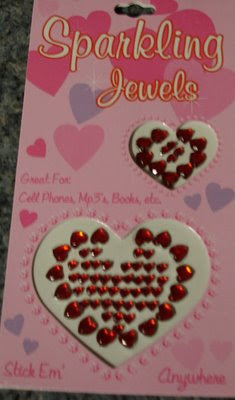 Happy Valentine's Day, blog readers! I love you! 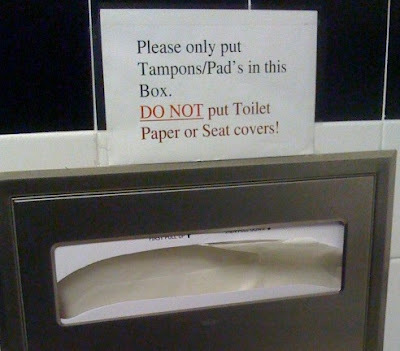 Ms. X wonders why the sign writer used an apostrophe in pads but not tampons and why certain words are capitalized for no reason. And finally, "Why put this sign above a box that is designed specifically for toilet paper and seat covers instead of on the flap to the garbage box?" Thanks, anonymous woman in San Jose, California! Semicolons are a dying breed of punctuation marks. But there's one person out there who still defends them and uses them properly: Barack Obama. I recently started reading Dreams from My Father, and have been very impressed with Obama's punctuation skills. The creator of this sign could take a lesson from our new president. Some people say that a comma can separate two short sentences, but I think the sign looks sloppy and should use a semicolon instead. The comma doesn't indicate enough of a pause between the two statements. 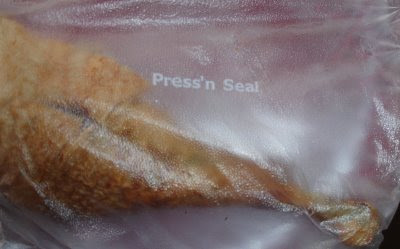 An em-dash might work, too. Thanks (again!) to Merry for sending this one in. A few months ago, a couple of friends and I made our way to the top floor of the Custom House to check out the view. 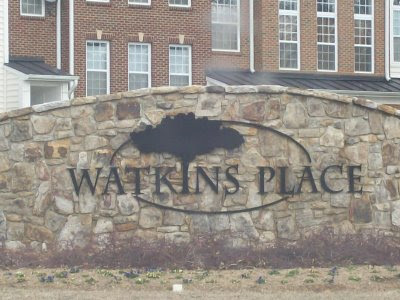 But this sign kind of ruined it. It's venues? Also, city shouldn't be capitalized. 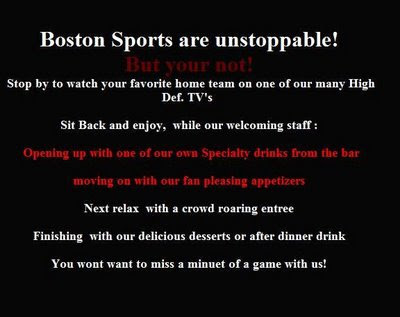 Tourists, don't let this apostrophe catastrophe tarnish Boston's image. Some of us know how to use proper punctuation. "I think they intended to make a catastrophic mistake, but ended up worsening it," writes Putu. I'm excited that I received a blog submission from 10,000 miles away! Thanks, Putu! Today, I would like to present something that's not a catastrophe at all. In fact, it's quite impressive. 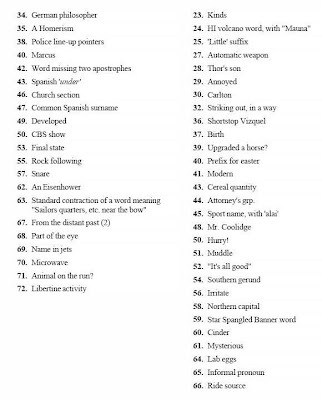 Have you ever wished that you could find a crossword puzzle that contained apostrophes? 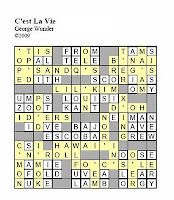 Well, by George, we've got the puzzle for you! Really. It was created by a guy named George. E-mail me if you want these in a PDF format. Blogger won't let me post PDFs. I'll post the answers next week. In my defense, the cake wasn't one of the special's. 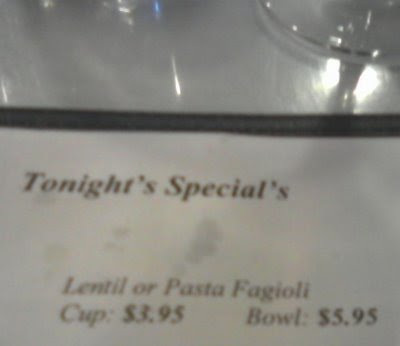 Plus, the food was so good that even the apostrophe catastrophe on the menu made me smile. Thanks to my friend/co-worker Amy who took that photo at The Breakfast Club in Allston. 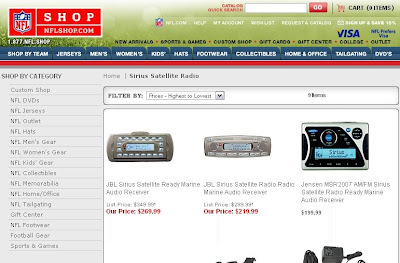 The top tab says "DVD's," while the side navigation (correctly) leaves out the apostrophe.